Hundreds of millions of people are looking for restaurants and bars online each month. Are potential and existing customers finding your business? How can you make sure they are? EnSpot Marketing offers effective and affordable digital marketing services that helps you improve your online visibility in high-traffic internet platforms such as search engines, social media and local directories. We help bars, restaurants and nightclubs use customer data to develop a successful marketing strategies; Deploy customer engagement solutions that help improve customer retention. EnSpot Marketing full service solutions include everything you need to promote and grow your bar or restaurant online. Find out where your business stands with our Bar or Restaurant Visibility Report. 100% Free! No strings attached. 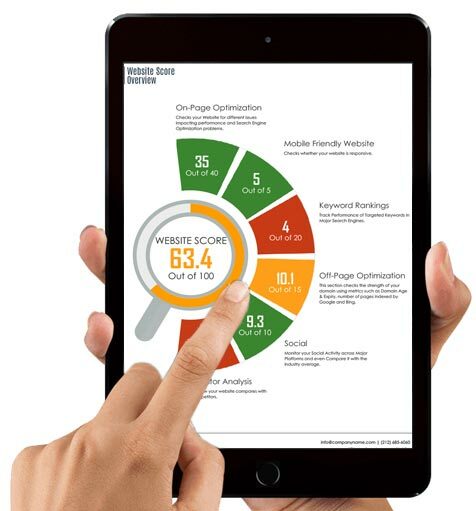 Our system will evaluate your online presence with over 60 major visibility indicators and will also include competition analysis.